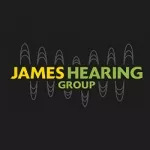 James Hearing Limited is a team of exceptionally-trained and fully-qualified hearing specialists. Our aim is to provide a professional hearing advice service that is second to none. Modern digital hearing aids are a world away from the old devices that used to whistle in Grampa's ear. Modern aids are sleek, stylish and give amazing hearing ability in all situations. We supply a wide range of hearing aids. We have tiny, invisible devices that sit deep inside your ear; hearing aids that can be worn 24 hours a day (even in the shower) with no discomfort; powerful devices for severe hearing losses, childern's hearing aids and a range of heaing aids that connect directly to your iPhone and Android devices to stream phone calls and music directly in to your ear. We welcome children of all ages, we work in child-friendly surroundings and try to make the appointments as comfortable and fun as possible. Your child’s appointment will be tailored to their developmental age, which means we can perform an accurate hearing test whilst they have fun & games! Have you visited us recently? We'd love to know what you think of our services. If you have two minutes to spare we'd love to get your feedback.